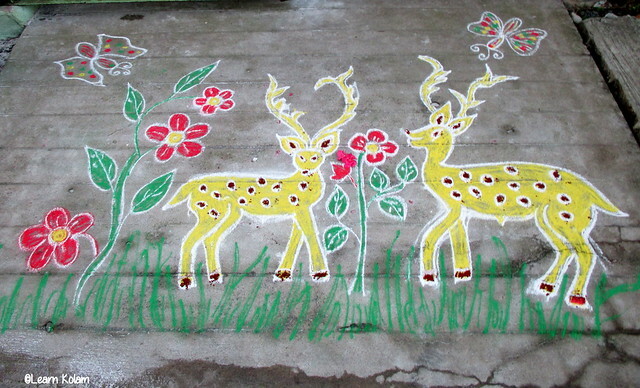 Here is my wife’s beautiful Deer kolam with flowers.This Maan Kolam is a free hand drawing without dots.My Grand daughter Raksha( 8 yrs) is very much fond of this kolam and she used to draw by referring this kolam design . My wife usually draw this kolam on Maatu Pongal day. Will visit your blog with my daughter who loves drawing ! Found your blog through Rakskitchen and Chitras food blog.